Alexa compatible garage door openers enable you to feel secure because you can check if the door is properly closed by asking your Amazon Echo or by checking the status on your mobile from wherever you are. This improvement will certainly take you one step closer to the perfect security of your home. Most of garage door openers have a remote so you can open and close the door from your car. However, you can take a step further by adding smarts to your garage door opener. Doing so, not only you will be able to monitor and control the door from your mobile, but also link it to other smart home devices, so that your house lights and heating will turn on when you arrive home. 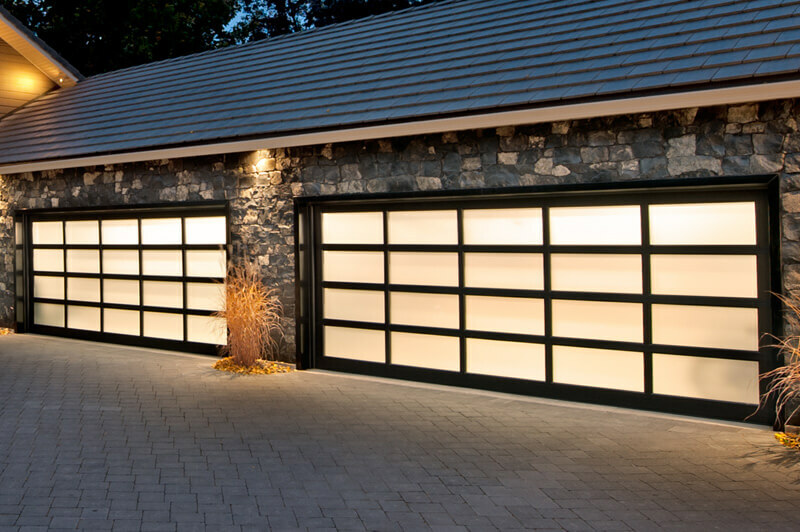 If you don’t have an automatic garage door controller, we will give you a couple of tips for an easier understanding of items that are on the market. Before you decide to buy a smart garage door opener, you should first check out if it will work with your existing garage door. Usually, you can find out if an opener is compatible with your door on the manufacturer’s site. Next, If you already have a motorised garage door, you might make it smart with some available add-ons. But if you are smartening up the door from the start, then be sure to choose the opener that will suit your need the best. If you wish to completely make your garage secure, then you might wish to connect it to a smart camera which will enable you to see who is around your garage door when you are away. Or, in the case of a robbery, you will be able to rewind the capturing from the camera. If you wish to check if your garage door is properly closed from the comfort of your sofa, the best thing you can do is to purchase Amazon Echo compatible garage door opener. This way, you can voice control the door, ask Alexa if it is closed, program it to turn on the camera when you leave, and \, of course, do all other actions that are usual for a traditional garage door opener. For your convenience and improvement of your smart home, we have made a choice of top 3 Alexa compatible garage door openers, and we hope that this will give you an idea of what is the best one for you. The NEXX Garage Door Openers lets you sleep safely because of its numerous advanced features. 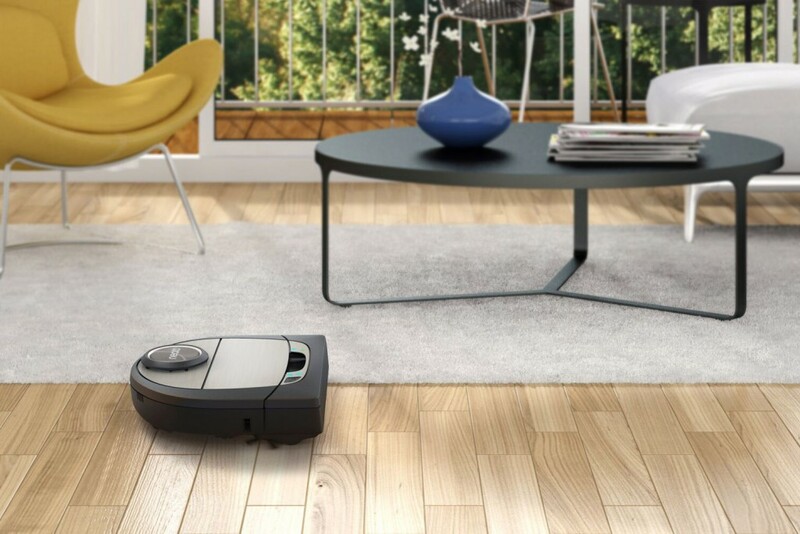 You can control it either via the mobile app or Amazon Alexa, and Google assistant. With Alexa, you’ll need to set a PIN in order to use voice commands to open or close the door. This is because Alexa identifies the device as a security item. With Google, you can create a PIN if you wish to have extra security, but it’s optional. You can do it all by fingertip or voice control: open, close, or monitor your garage door and check if you have left it open from anywhere in the world. If you leave your garage door open, you will receive the push notification, so you can remotely close it. And you also have the option to keep control of who and when opened the door. The NEXX doesn’t have a camera and if you wish to have one, you have to by one made by the third party and connect it via the hub. 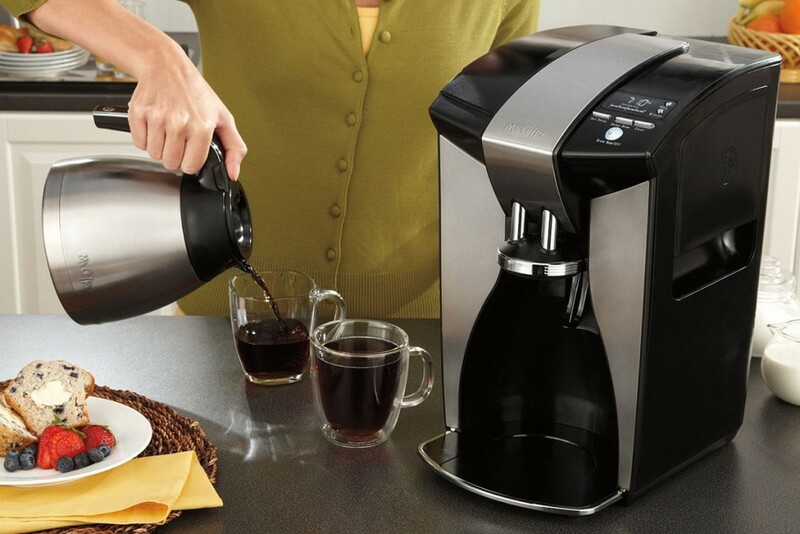 The opener uses Wi-Fi for connection, and it is very responsive. It opens and closes the door without a delay. The installation is easy, but you will have to make a long wire for the opener that might spread all through the garage. Even though easy, you might need some help to make it quick as well. Once your device is connected, you can customize preferences for the app alerts. One of the more interesting options is a voice alert feature. With a voice alert feature, a voice will alert you when the garage door opens or closes. There are also regular notifications to let you know the door has been closed, opened or left open for too long which you will receive on your mobile. Connection with your mobile works as a geofencing system, so when you are close to your home, the door can be opened automatically. The door cannot be overridden by Nexx when the door is manually locked which is great. Sends you a reminder 20 minutes or so later to remind you your garage door is still open. 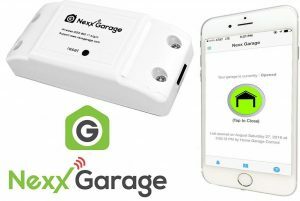 Overall, the Nexx Garage provides support for voice commands, scheduling, auto opening, multiple users and alerts for garage door action. It is a recommendation to anyone looking for a simple and reasonably priced way to smarten their garage. Regarding mentioned safety, in addition to all notifications and alerts, you will receive from Gogogate 2, there is a smart camera integrated. So you can follow in real time who is around your garage door. However, if you decide not to turn it on then you will have a steady record of your door. The benefit of this opener is that you can control up to three garage doors from the app. For remote control, you can use the mobile Gogogate app to view a calendar with activity history, set up alerts, open or close the door remotely and add up to ten users. For more than that, you will have to purchase additional access. When you register administrators, they can restrict users to specific days and times, and control which users have access to connected cameras. Regarding smart assistants, Gogogate relies mostly on IFTTT. With the Gogogate2, Amazon Alexa, Google Assistant and geofencing features are all made possible with IFTTT applets. 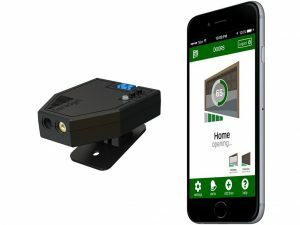 The IP camera by iSmartGate, connects to the Gogogate app for live images of space around the garage door. The cam has a resolution of 720p, night vision and a 116-degree field of view. Features like two-way audio and sound detection are also included, but you’ll need to use the camera’s separate application for those. Storage of records is free during the first month, but later you will have to make a 3-year purchase to have 24 hours of video clip storage. Installation can be a bit tricky, but you won’t have additional costs of changing the door, so you can hire a professional. It becomes more difficult when additionally installing the camera especially if it is from a third party. Much less expensive than buying an entirely new smart garage door opener. Relatively simple to install the hardware. IFTTT compatibility gives you great smart capabilities. You’ll need IFTTT applets to use voice assistants or to set up geofencing. Overall, the reasonably priced Gogogate2 supports almost every function you’d want in a smart garage, and it is among our favourite products in this class. 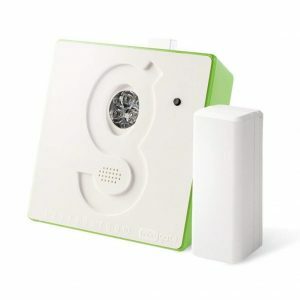 Garadget is an elegant and simple way to update your existing garage doors opener. 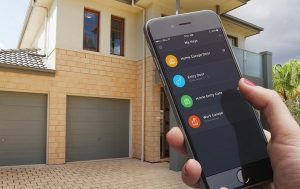 The features are basically similar to ones that NEXX Garage Door Openers and Gogogate 2 have: you can control and monitor your garage doors from anywhere anytime via the mobile application. When you are inside you can use voice control because Garadget is compatible with Amazon Alexa. You will receive alerts if you forget to close the door. The point that makes difference compared to other garage door openers is a laser sensor which makes the installation easier than it is for NEXX Garage Door Openers and Gogogate 2 and it requires no maintenance. Additionally, there is no need for replacing completely functional old opener because it adheres to your existing garage door opener with an adhesive strip which you will get with your purchase. For the control of the Garadget you can use your mobile phone, IFTTT and Amazon Alexa. Within the mobile app settings, you can customize alerts to tell you if the door has been open for a certain amount of time and how long, ranging from 30 seconds to 12 hours. You can also enable alerts to alert you if the garage is left open between a specific time frame, say from 11 p.m. to 7 a.m. There’s even a geofence-like feature that will notify you if the door is open when you’ve left the area. Even though the Garadget isn’t overpriced, there are other, more advanced systems for not much more money. If you’re looking for smarter features like scheduling or a system with its own camera for surveillance, the Garadget isn’t your best bet. After reading the article, you can list your priorities concerning the opener, and we are sure that one of Alexa compatible garage door openers will suit all your needs.